The Secretary highlighted the investment plan for the expansion and new projects of Lotte Group in Vietnam. 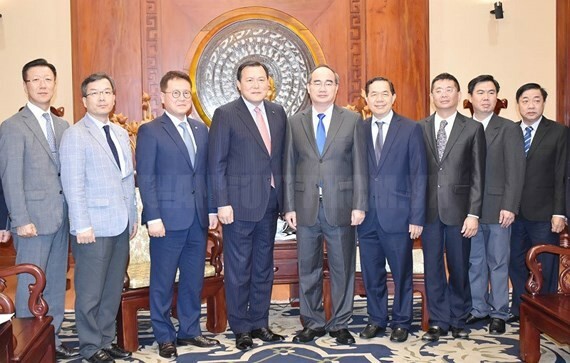 He also praised the group’s success and social welfare programs in the country and stressed that the city’s government will create good conditions for the company’s sustainable development. For his part, Vice Chairman of the Lotte Group Hwang Kag-gyu thanked the municipal authorities for assistance in supporting the group’s projects and regarded Lotte as a key market. 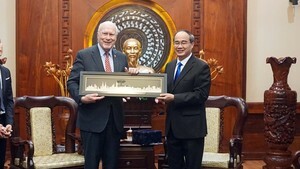 He hoped the enterprise will become a trusted business partner that will make contributions to the development of Vietnam.